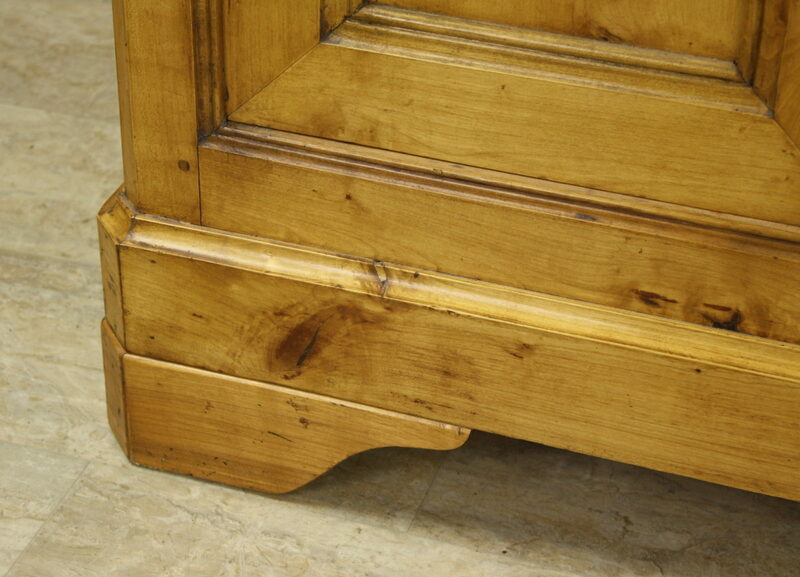 This stunning Louis Philippe enfilade offers all the Classic elements of a perfect Louis Philippe piece. 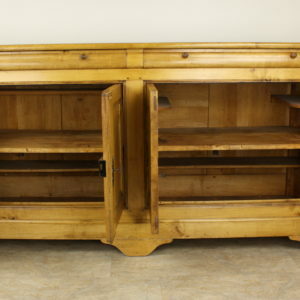 Shaped drawers and feet, and because it is so long, it has four doors, for the two large cupboard spaces behind them. 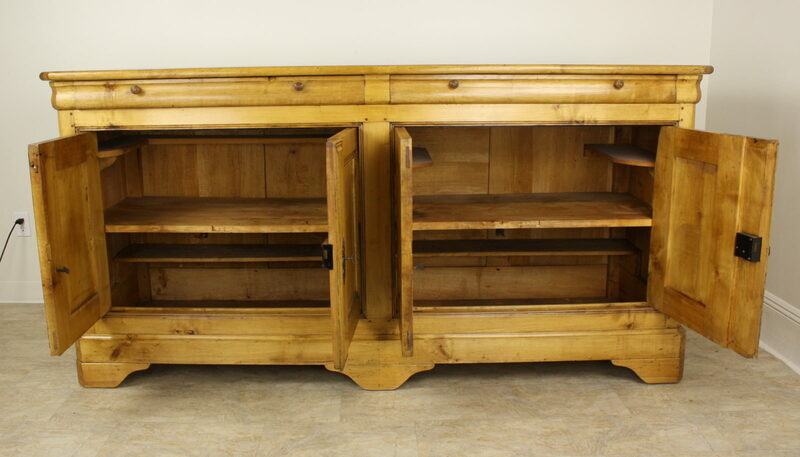 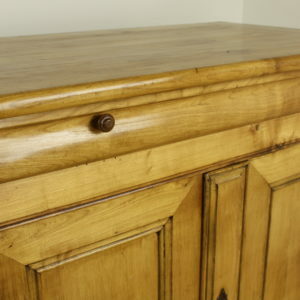 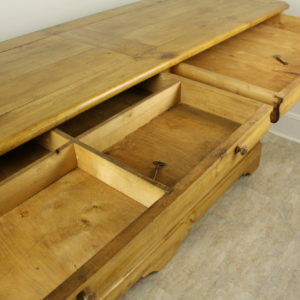 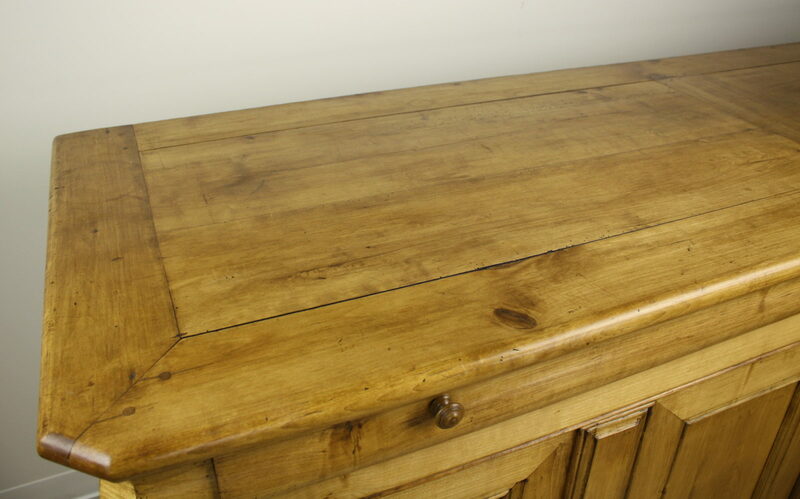 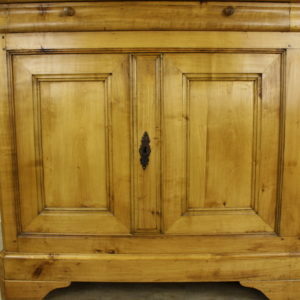 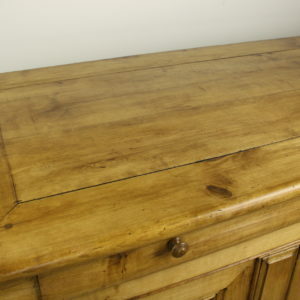 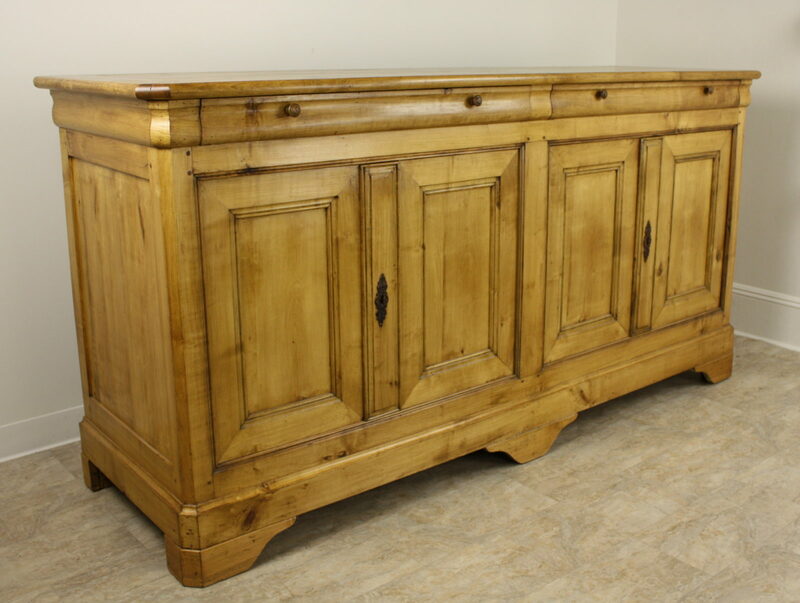 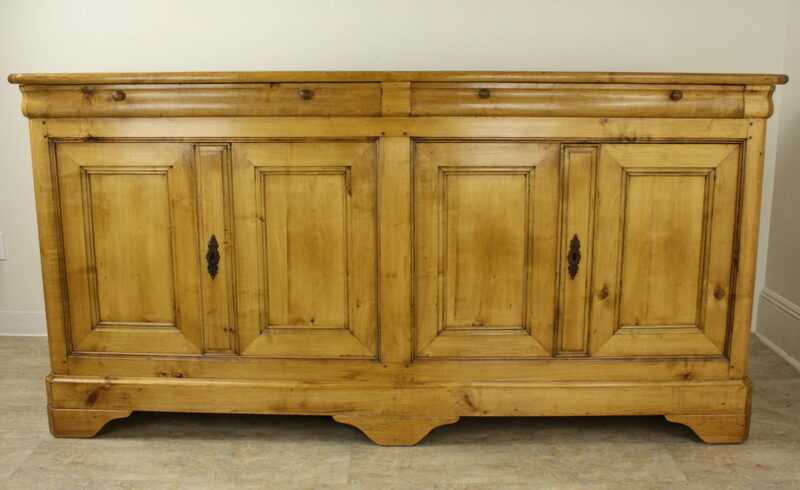 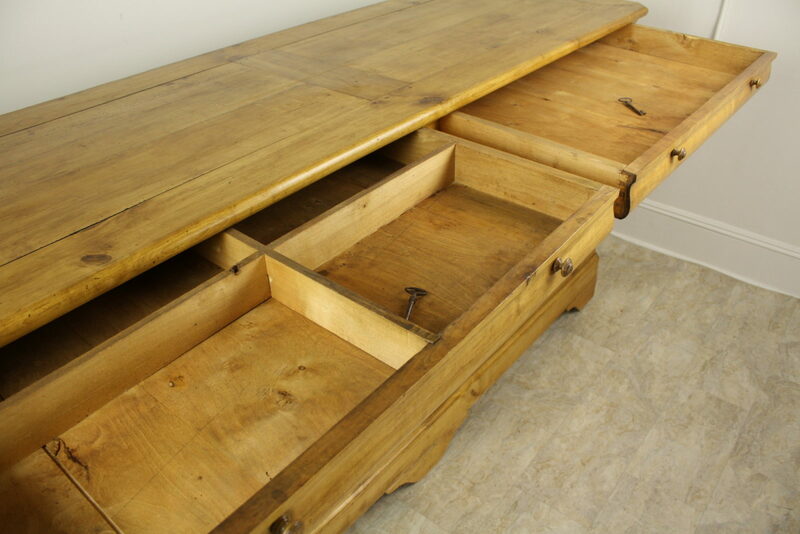 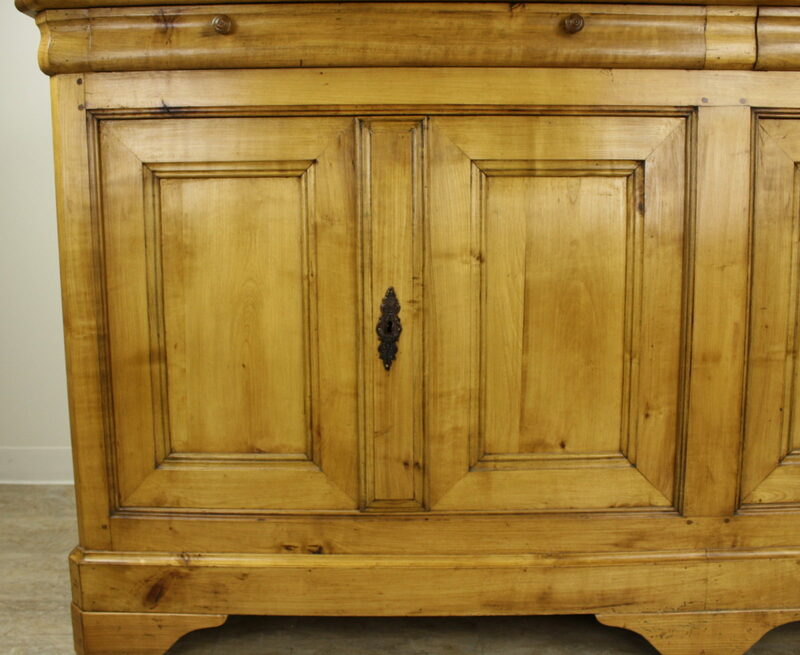 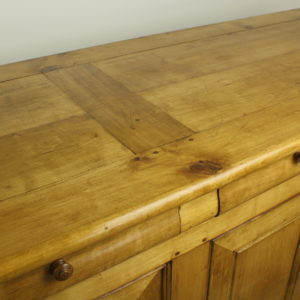 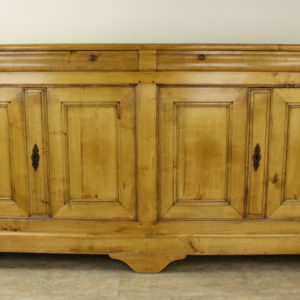 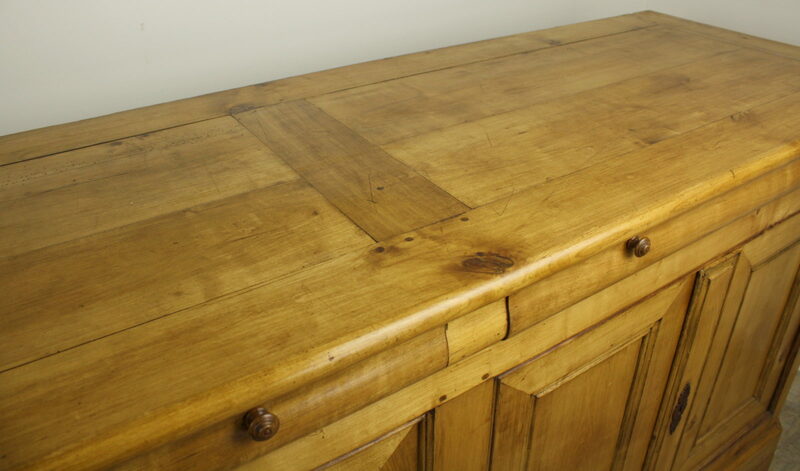 The Applewood used for this long buffet is gorgeous, the color and patina excellent. 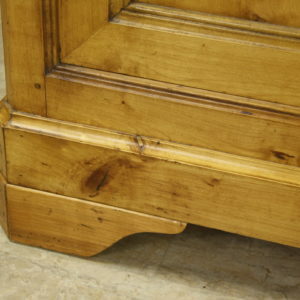 Mitered and pegged corners on the top are refined and elegant. 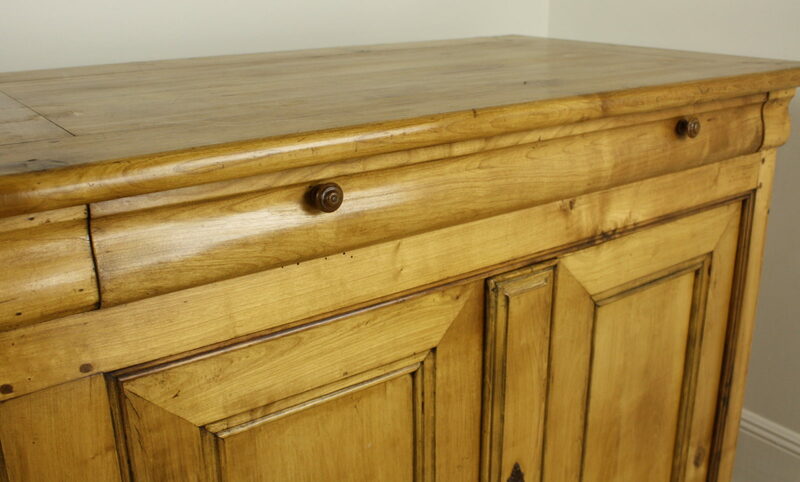 Nice old escutcheons and turned handles enhance the look.